It’s no secret that testing mobile apps is difficult. From the diversity of devices, OS versions, latency, user experience and more there is a lot to consider. 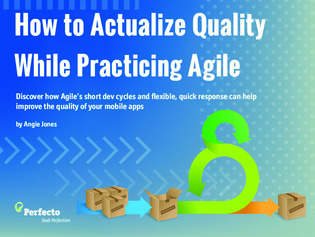 While it may seem daunting to keep up with all your testing needs while practicing Agile, the reality is that Agile’s short dev cycles and flexible, quick response can help improve the quality of your mobile apps. Download this resource to learn from the mistakes of one company who tried mobile app dev without Agile and the consequences that followed.